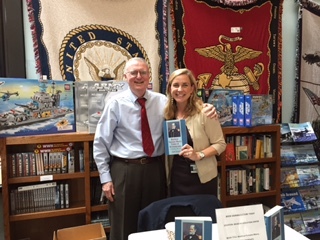 Lyn Reisig stopped by the Navy Museum Wednesday following my lecture there on Matthew Fontaine Maury. 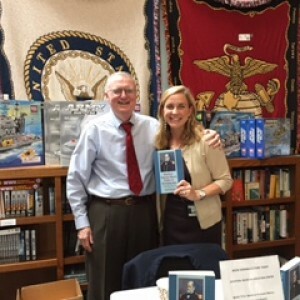 Her sons — Alexander and Piece — attend Maury Elementary in Alexandria, Va. A special thanks to Laura Hockensmith and her staff at the museum for all their help. They are a large part of the treasures in the museum in the Washington Navy Yard.